Just Manufacturing (Franklin Park, IL) is proud to introduce their Commercial ADA Compliant Wall-Hung hand-Free Lavatory packages. Just Manufacturing offers single source reliability and specifying simplicity, thanks to their industry-first turn-key lavatory package. 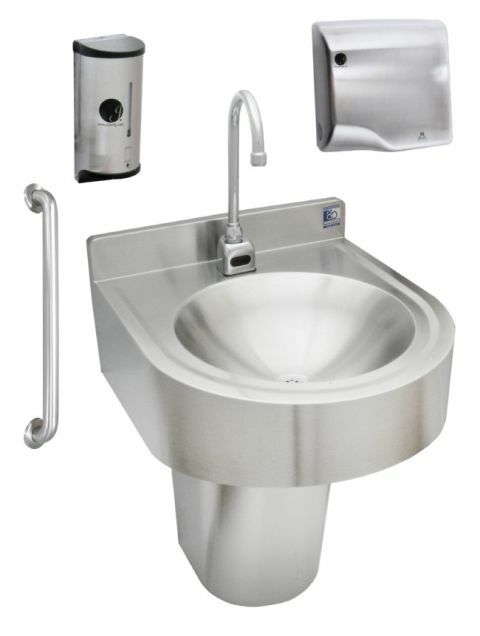 This package is a complete “hands free” system, as each unit includes: a lavatory crafted from heavy grade, 18 gauge, type 304, 18-8 stainless steel; an adjustable sensor activated gooseneck faucet; an ADA Compliant automatic hand dryer; an ADA Compliant sensor activated soap dispenser with a pre-measured dispensing volume; a lavatory drain with overflow; a thermostatic mixing valve and P-trap with cleanout. These packages feature Just’s innovative Integra Flow system to prevent overflow flooding and liability issues. These unique lavatories are also available with optional pre-piping to speed installation and save labor costs. Complete product specifications are available as BIM files or PDFs at www.justmfg.com. The Commercial ADA Compliant Lavatory packages are Made in the USA and fully ARRA compliant, making them an excellent choice for all public buildings including new construction and remodel / retrofits. Water conserving low flow aerators are available on the JSGN-6 faucet, which can contribute LEED points to your design. Just Manufacturing fabricates their Commercial ADA Compliant Lavatory packages from newly melted stainless steel coils with 90% recycled product content from locally sourced mills. Just’s eco-friendly initiative extends throughout their entire operation from factory to office to product packaging. 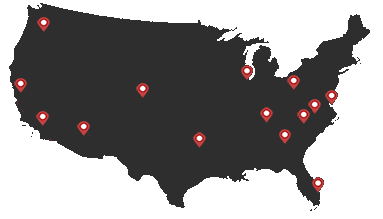 Just Manufacturing has been producing top quality plumbing products in the Chicago, IL area for over 80 years. Their reputation for quality and durability spans a product line ranging from commercial to institutional to residential and custom applications.